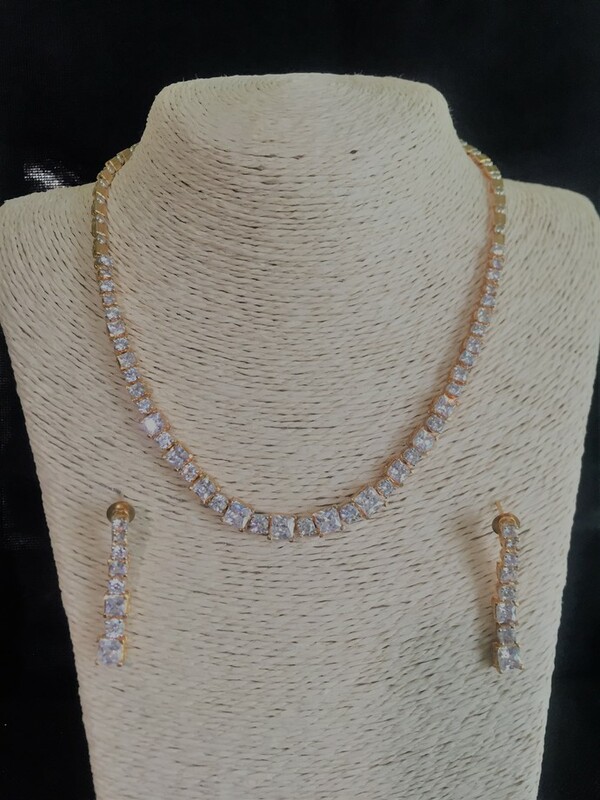 This unique set is made up of beautiful white graduated square cubic zirconia stones. The stones are all the way round the front and followed on by a gold chain in the same design as the stones. It is a very simple set for everyday wear but can be worn at any occasion by the lady who likes simple things.